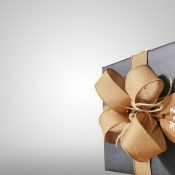 Gift-giving makes for a positive reinforcement agent of the social experience, making for a tradition that largely stemmed from our natural instinct as a species to express our gratitude, appreciation, love, compassion and friendship. It’s a great way though which all of this can be achieved in line with the complex nature of our minds and associated emotions and the likes, so there’s absolutely nothing wrong with it. Things tend to get a bit ridiculous though, probably because of the effects of the concept of money. While we might like to keep believing and telling ourselves and others that it’s the thought that counts, and while that cliché may indeed actually be true, the reality is that money and its associated value has infiltrated the gift-giving ritual and tainted it to a very large extent. It’s funny how the worst iteration of this development is that of how neighbours, colleagues or people sharing a common environment get into what is nothing short of a gift-giving competition. It becomes a case of “I’ve won this round of gift-giving because I got you a better gift than what you got me.” And we all know what a better gift often constitutes, don’t we? It’s a gift which cost more money to buy, so in effect the gift-giving ritual has become a demonstration of financial power. We need to bring some sensibility back to it though, and fortunately not all sensibility is lost to the effects of monetary value. Merely looking in the direction of your parents or even your grandparents, if you’re lucky enough to still have those in your life, will set you on the path to rediscovering the sensibility which should form part of the ritual. As many times as you tell them that it’s really no longer necessary for them to spend their time, money and effort going out of their way to buy you something nice by way of a present, they pretty much always get it right, don’t they? And in so doing, do they hand you something which is outrageously expensive and clearly had them breaking the bank to get for you? No, all they did was spend some time and effort, with the actual price of the gift often not something you can even come close to guessing. Therein lies the true essence of what gift-giving is all about – you need to get that loved one something they probably need and could do with to make their lives easier in some or other way, as opposed to buying them something flamboyant and expensive that they need to think long and hard next time they want to get you a gift in return. Something like Christmas gift baskets will do to cater to everything that makes up the essence of gift-giving for the festive season for example, simply because often the different items contained in one of this gift baskets will likely be enjoyed over a considerable amount of time over the Christmas holiday season. Whomever you’re giving the gift basket to might be able to keep the festive cheer going by sharing the contents with some guests that come over, which eases their own burden of having to dig deep into their pockets to bring the festive cheer.